I’m week late getting these posted because I was focusing on all of the 9th Anniversary stories, but last weekend in Anaheim, WONDERCON 2014 was held next to the “Happiest Place On Earth” for the 3rd year in a row. The Anaheim incarnation of WonderCon has grown year over year, and I have heard rumors that the convention crew plan to split the show so keep having it here as well as possibly moving it back up north to the Bay Area. WonderCon is a great convention. I has the feel of San Diego Comics Con from about 10 years ago. It’s a fun, manageable show that a lot of companies and studios are starting to take notice of. There were also a lot of new dealers at the show, so there was much wider variety of product for sale than at your typical So Cal show. Our pal SDComics was there all 3 days and I took my family on Saturday and between the two of us we took 12 galleries worth of photos from comics, toys, cosplay, booths and general life around the con. 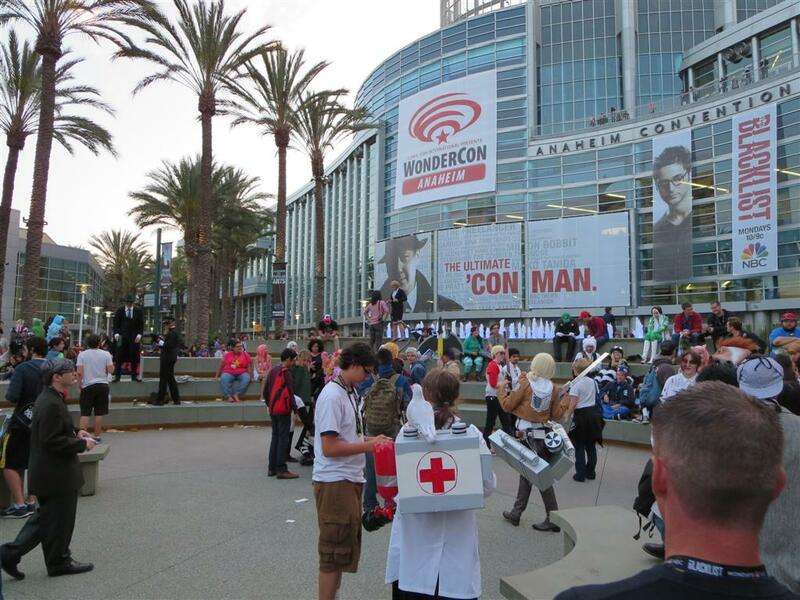 Click here to be taken to our WonderCon 2014 photo galleries! if one is going to do Bane….At least have the muscles to do Bane.